As you undoubtedly know, Florida summers are long, hot, and humid. Winter can vary from warm and humid to cold and damp. In between we enjoy those glorious, balmy days the Sunshine State is famous for. We also have a dry season through the winter months, and a wet season during the summer. Our “wet” usually comes in a daily downpour, accompanied by much thunder and lightning. In the southernmost parts of the state you can practically set your watch by the arrival of the afternoon storm. The good news is, it’s almost always short-lived. Then there are days like Monday, with dense cloud cover and a steady rain for hours. Highly unusual, especially during the dry season. For the bookish who didn’t have to go to work, it was a godsend. Nothing cozier than curling up with a good book, to the patter of soft rain. And for Tuesday, we could all look forward to crisp, clean air and vistas of sparkling greenery and flowers. And we could remember: “He will come to us like the winter rains, like the spring rains that water the earth” (Hosea 6:2). …with his love and grace to wash away the cloying dust of sin (Psalm 51:7). …with his Word that refreshes our spirits (Deuteronomy 32:2). Drop by drop, day by day, providing life-giving nutrients to our spirits. Nutrients like strength, wisdom, and encouragement. …with cleansing (2 Samuel 23:4). He removes false-guilt, negativity, and fear. In their place he provides freedom, contentment, and peace. …with showers of joy and blessing (Ezekiel 34:26), to cast a fresh glow on our surroundings. All day, every day he is bestowing love-gifts through creation, family, friends, circumstances, and pleasures great and small. …to shower righteousness on all who claim Jesus as Savior (Hosea 10:12), not just a select few. Anyone can exchange his/ her smudges and stains of imperfections for his sparkling righteousness. Thank you for your kind comments. I am honored you found the post meaningful. “All days are beautiful.” You may have to remind me of that in the future, Laura! Thank you for being such a faithful follower. I loved this one. I love how you write and the word pictures you draw and how you always turn us to God through your blog posts. Thank you, sweet Sister. I am humbled these posts bless you! Thank you for your encouragement, Jean. I AM sorry, that you northern Midwesterners have suffered such a rough winter. May spring sweep in soon with plenty of warm sunshine. You deserve it!! Great post, Nancy. It’s going to rain here all weekend; thanks for giving me a new perspective on the rain. Nancy, you paint a lovely picture here with all the references to rain and refreshing from the Scripture. I like your take on “it’s raining, it’s pouring”. You always shine Jesus–I appreciate it. Oh, Jody, thank you so much for your affirmation. How humbling to think we can reflect the Lord’s glory (2 Cor. 3:18)–even with our words. I say “we” because you do the same for me! Nancy, I love this post. Am working on a blogspot myself and see much I can learn from you. The content is meaningful; I also like your style and format – enough white space to make the reader comfortable without being bogged down in long paragraphs. Thanks so much! I am honored you found my blog helpful and meaningful. Thank you for stopping by and taking the time to comment! I felt washed clean clear through just reading this ‘refreshing’ post! 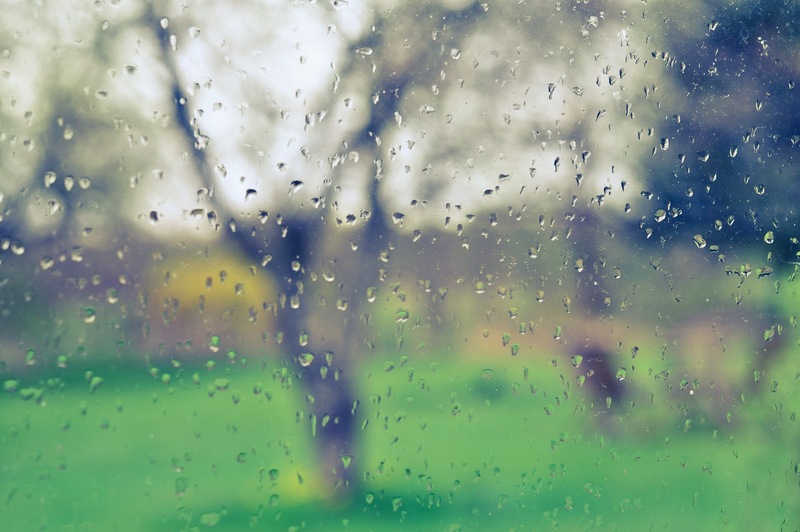 Ah, the wonderfully sweet smell of rain as it ‘reigns’ down upon the earth, providing nourishment to nature… An illustration of the how rains of blessings bestowed by the Holy Spirit enable me to grow spiritually. Lovely and meaningful post. Thank you, Cheri, for your added insights. ‘Love your use of ‘reign!’ Indeed, the King of the Universe reigns with blessings–not only to give us joy but to make us grow. Beautifully said, dear friend!